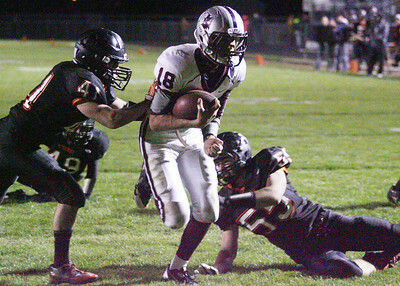 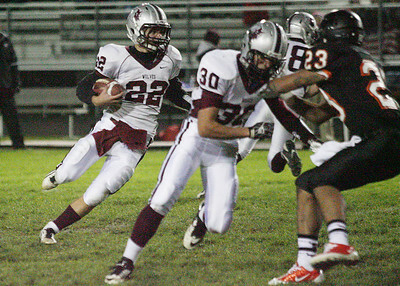 Don Lansu for the Northwest Herald McHenry quarterback Mike Briscoe,(12) drops back to pass using Thomas Hellios (41) for protection during 1st half action against Prairie Ridge 10/25/2013. 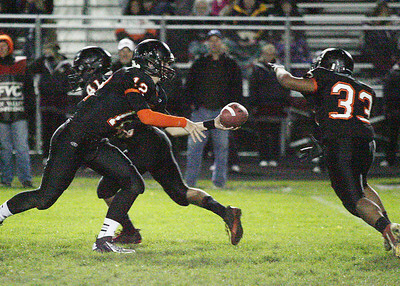 Don Lansu for the Northwest Herald McHenry's running back Julian Guajardo (33) takes the toss from quarterback Mike Briscoe (12) during action against Prairie Ridge at McHenry 10/25/2013. 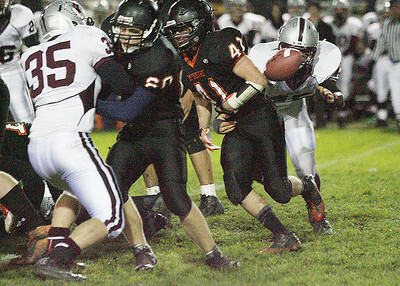 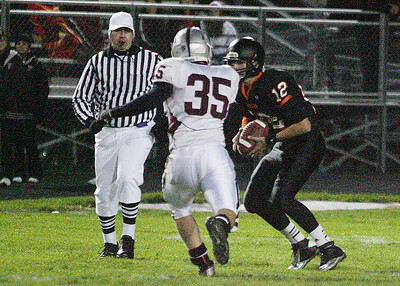 Don Lansu for the Northwest Herald McHenry's Mike Briscoe (12) recovers a high snap from center before being brought down for a17yd loss by by Danny Giffels (35) of Prairie Ridge. 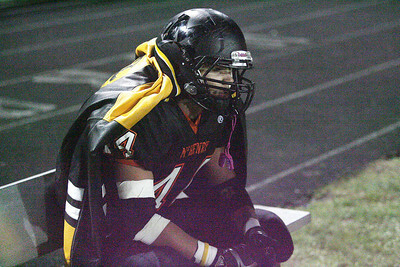 Don Lansu for the Northwest Herald Prairie Grove defensive lineman Chris Dolleton (74)recovers a first half McHenry fumble during action at McHenry 10/25/2013. 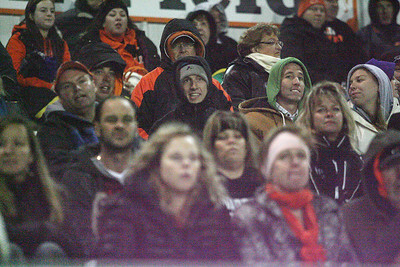 Don Lansu for the Northwest Herald McHenry fans watch the action against Prairie Ridge 10/25/2013.